Tilapia is a very lean, and protein filled fish that is a great canvas for flavor. 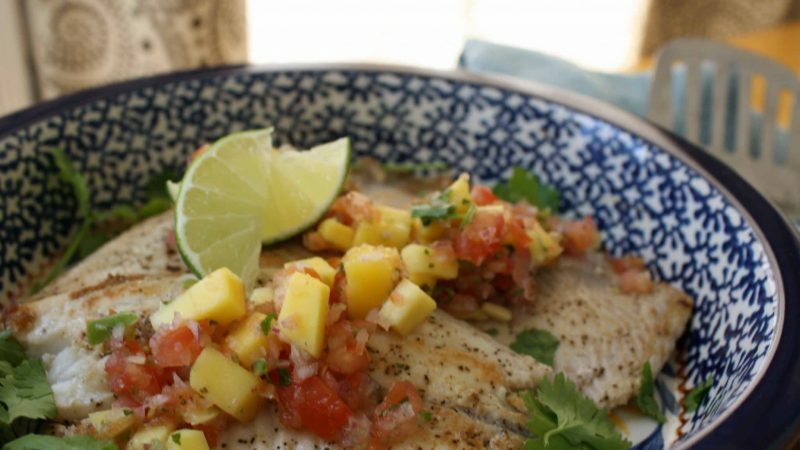 Our new Rodelle Salsa Seasoning is really spicing things up in this mango salsa recipe. Dribble ½ tsp of lemon juice on each. Melt the butter in a large skillet and cook the fillets until just crispy and golden on each side (about 2 minutes per side). Remove to plates and top with the Mango Salsa to serve. Combine Rodelle Salsa Seasoning and all other ingredients in a bowl. Chill for ½ hour to develop flavors.